FBI agents on Sunday interviewed one of the three women who have accused Supreme Court nominee Brett Kavanaugh of sexual misconduct as Republicans and Democrats quarreled over whether the bureau would have enough time and freedom to conduct a thorough investigation before a high-stakes vote on his nomination to the nation's highest court. In a statement released Sunday, a Yale classmate of Kavanaugh's said he is "deeply troubled by what has been a blatant mischaracterization by Brett himself of his drinking at Yale." 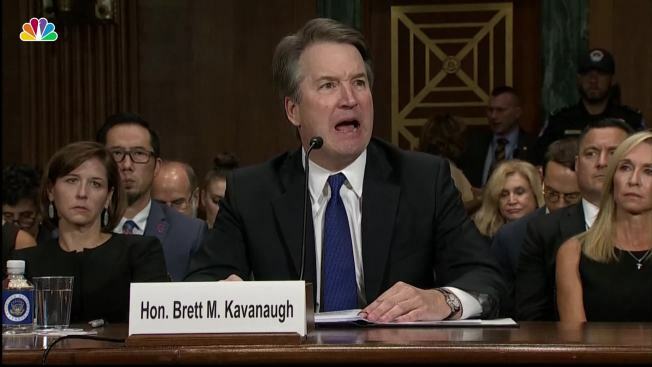 Charles "Chad" Ludington, who now teaches at North Carolina State University, said he was friend of Kavanaugh's at Yale and that Kavanaugh was "a frequent drinker, and a heavy drinker." In a memo obtained by NBC News Sunday, the outside counsel hired by Republicans to handle questioning during Thursday's hearing, Rachel Mitchell, said a "he said, she said case is incredibly difficult to prove. But this case is even weaker than that." 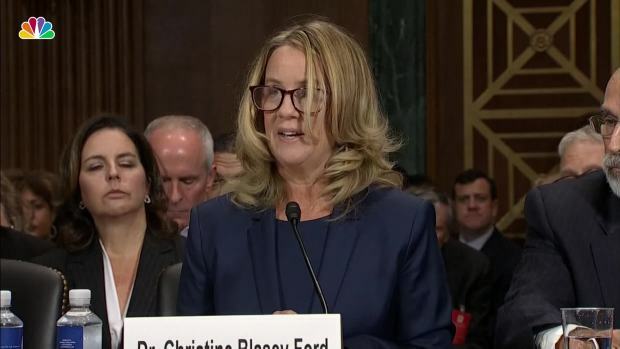 She said a "reasonable prosecutor" would not bring the case based on the evidence brought before the committee, writing that Ford identified witnesses to the event that either refuted the allegation, or did not corroborate them. The memo, provided to Republican senators, only had Mitchell's analysis of Ford's testimony; it did not include an analysis of Kavanaugh's responses. Associated Press writers Eric Tucker, Lisa Mascaro, Mary Clare Jalonick and Jonathan Lemire contributed to this report.